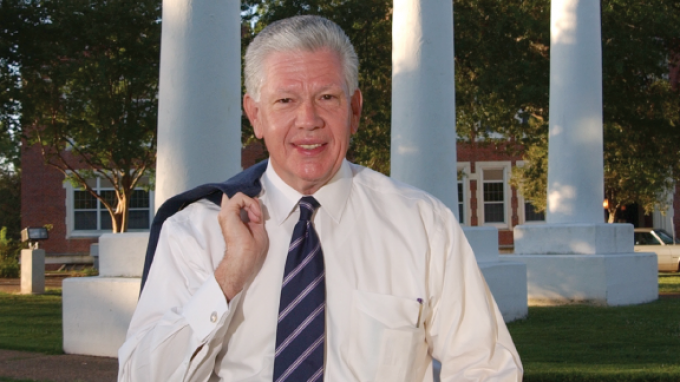 NATCHITOCHES – Northwestern State University President Dr. Randall J. Webb announced Friday that he will retire later this year. Webb has served as Northwestern State’s president since 1996. In July, he will become the university’s longest serving president, surpassing Dr. Victor L. Roy, who was president from 1911 to 1929. Webb said his retirement date will be “based on when my replacement can assume the official duties and responsibilities of the office of president. I want to ensure that we effect a smooth transition for the incoming president. Webb said he looks forward to the “transition to other areas of service in life” and to spending more time with his family. “The Board and I would like to express our deepest gratitude to Dr. Webb for his commitment and service. Randy and Brenda Webb have both given so much of themselves over the past decades to Northwestern State and the Natchitoches community. Their contributions will long be remembered,” said UL System President Sandra Woodley. Under Webb’s leadership, Northwestern State has received well-deserved national and international attention for its academic programs and student accomplishments. University facilities have been renovated to better serve students, and two capital campaigns have set fund-raising records at the school. Webb has led the move toward higher admissions standards at the university, which have resulted in students having greater academic potential and aptitude. Northwestern State has had its largest graduating classes in school history while Webb was president. Retention has increased at the university, the average ACT score of students has gone up, and high school student leaders have enrolled at Northwestern State in record numbers. Webb has also expanded the university’s outreach by spearheading the development at NSU of the largest electronic education and distance learning network of any university in Louisiana. Northwestern State offers courses and 34 accredited degree programs to students across the nation and world through Internet and compressed video. Several university online programs have been rated as being among the best buys in the United States. Millions of dollars have been obtained during Webb’s presidency for new and renovated facilities. The new facilities include the Wellness, Recreation and Activity Center, Student Services Center, University Place I and II residence halls. Morrison Hall, the Family and Consumer Sciences Building, Williamson Hall, Russell Hall and Caspari Hall have been completely renovated and restored. The university achieved Tier I status in the U.S. News and World Report ranking of regional universities on two occasions. The master’s program in nursing was rated as one of the Top 100 by U.S. News. A new Doctor of Nursing Practice program was created along with a Post Master’s Certificate in Global Security and Intelligence and a master’s in homeland security. The university has added new undergraduate academic programs in theatre, criminal justice, unified public safety administration, organizational leadership, addiction studies, liberal arts, general studies, communication and allied health under Webb. Webb has held positions of leadership at the national level in intercollegiate athletics. He has served as chair of the board of directors of the Southland Conference and has been a member of the prestigious NCAA Executive Council and the NCAA Division I Board of Directors that oversee all major policy decisions by the governing body for major college sports. He served as the Southland Conference representative on the NCAA Presidential Advisory Group.